Each set comes with its own quick release stem along with a link to our Online Training loaded with instructions to help you truly "Stack Fast!" Sport Stacking with Speed Stacks is one of the fastest growing new sports in the country. Stackers up stack and down stack 12 specially designed cups in specific patterns using the patented StackMat™ to measure and record their best times. 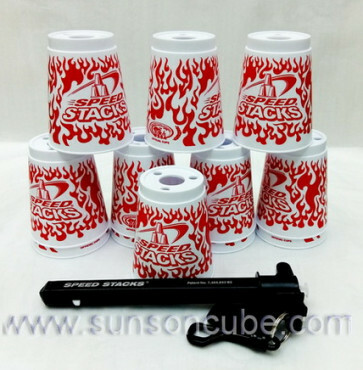 Speed Stacks are the only products approved for use in the WSSA sanctioned events and each cup carries the official WSSA seal of approval.